Due to the great success of our first year of running the Switch Yard Ball Hockey House League last spring, the Switch Yard is once again offering the chance for youth to play ball hockey this coming spring. On Mondays, starting May 9, youth born from 2000-2009 can play nine weeks of ball hockey at North Hastings Community Centre. Players will be divided into three divisions with the Junior Division (born 2007-2009) playing from 6:30-7:30 p.m., Intermediate Division (born 2003-2006) playing from 7:30 to 8:30 p.m., and Senior Division (born 2000-2002) playing from 8:30 to 9:30 p.m.. The deadline to register is Monday, April 4. To register in person, come out to the Switch Yard Youth Center on Saturday, April 2nd from 9 a.m. to 12 p.m. or Monday, April 4 from 6 to 9 p.m. Otherwise, please mail your registration form and money to The Switch Yard at P.O. Box 1037, 26 Hastings Heritage Way, Bancroft, ON. The cost to register each player is $75, which includes a personalized team jersey. If you have any questions, please contact Bryan Degeer at the Switch Yard at 613-332-3108 or rize@switchyard.ca. 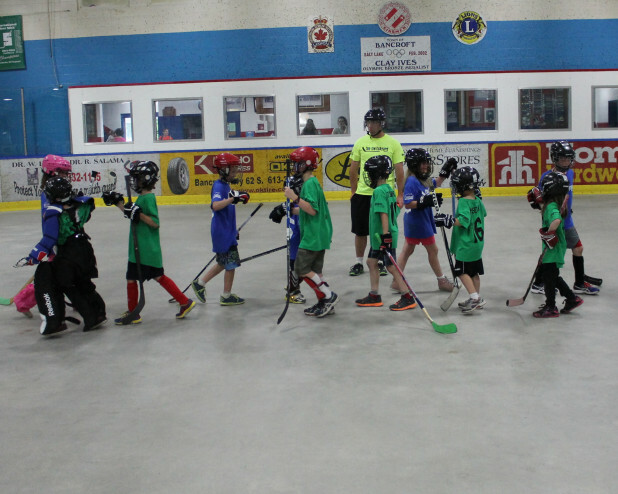 We look forward to another successful year of the Switch Yard Ball Hockey House League!